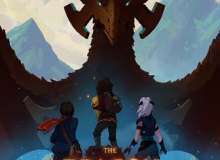 Which "The Dragon Prince" character are you? This quiz will determine who from "The Dragon Prince” you are most similar to. This quiz is meant to be fun and I hope you all will enjoy it! I spent a lot of time making this so have fun. Have fun taking this quiz! This quiz will help you feel connected to the characters and let people who like the show know who they relate to the most. What are some of your negative character traits? What type of person bugs you the most? If you could have any super power/trait, what would it be? What is your hobby? What would be your hobby? If you came across a hard task, how would you face it? Quiz topic: Which "The Dragon Prince" character am I?